Mom took the boys to the skating rink this afternoon for some rollerskating with the home school group(socialization, you know), so Caleb and I have been home alone together for almost two hours now. I predicted when they left that Caleb would hardly say two words to me at a time, and I was right. We've both been sitting on the couch all afternoon, reading. 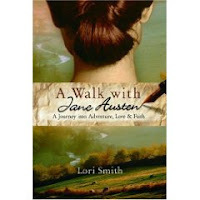 I started and finished “A Walk with Jane Austen”, by Lori Smith, and while I was sitting on the loveseat reading, laughing, and relating, Caleb was across the way on the other couch reading the Bible and Chemistry and who knows what in absolute silence. I really enjoyed Ms. Smith's book- it was very open and honest, a great girl book. I loved it, and you should all read it! Usually when I start reading a book like this, I have to finish it, and so when I finally do finish it hours later, I have to go work fast to make up for lost time. So, I'm off to make dinner as fast as I can. Welcome to my new blog! 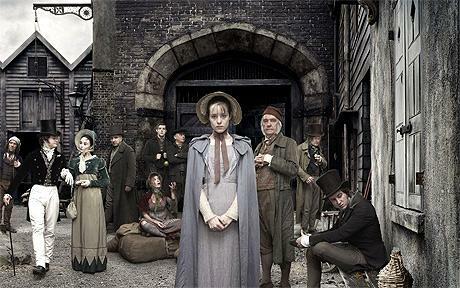 I've styled it around Dickens works, with the title coming from his story "Old Curiosity Shop". I have imported all my old posts from my old blog, and so now "The Frazzledsister" has come to an end, and "The Marchioness" is beginning. Over the winter holidays of 2008/2009, I read almost all of Charles Dickens novels, such as Nicholas Nickelby, Barnaby Rudge, Old Curiousity Shop, Hard Times, David Copperfield, Little Dorrit, and most recently Domby and Son. Those that I haven't read I have seen the BBC TV productions of, like Bleak House, Martin Chuzzlewit, and Our Mutual Friend. I enjoyed them all so much that I thought I would use those stories to embellish this new blog. If my life were half as sad, mysterious, and exciting as Dickens' novels are, I think this would be a very popular blog, but my life so far has really been pretty normal. When I wrote on The Frazzledsister I didn't really advertise my blog(especially to Church people, especially during the political season) and I didn't post very personal things, for fear of someone I knew getting mad at me. I think my writing suffered because of it, and I hope on this blog to be a little more open. In the past year(It seems like it was a hard sort of year) I have gotten to know my peers at church a little better. After being members of the church for three years, finally I know more people and am more comfortable with them. Those young Ron Paul fanatics I thought were so militant, weren't so bad as I thought- or maybe they've just recovered. I still don't feel as though I have any really close friends there, like Anne of Green Gables and her "bosom friends", and maybe I never will, but at least we're all on speaking terms! So please, new readers, and even fanatical politicians from Church, feel free to comment, but don't all attack at once!